It was 7 years ago that I decided to delve into the world of sourdough! 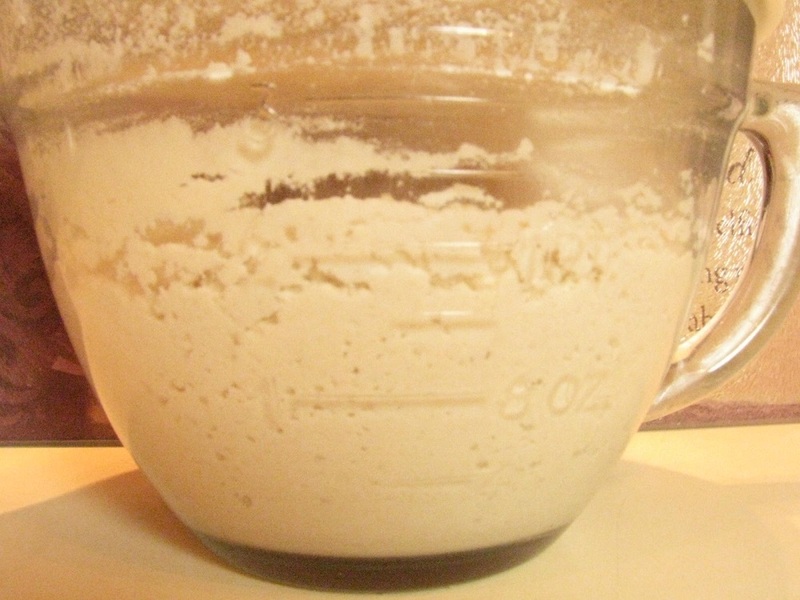 I was pregnant with Precious #6, and I took a sourdough e-course from GNOWFGLINS Traditional Cooking School. The class was awesome! The series began with teaching how to make a starter from scratch and then how to use that starter to make everything from breads to cakes. The course included a pdf for those who learn best from reading, and it featured videos for visual junkies like me–I learn best from watching and doing. I was able to cultivate a starter from spelt flour (a glutenous ancient grain), tried the recipes in the e-course, and soon converted my own recipes to this more healthful method of preparing breads. At the time, we ate a lot of gluten free foods as well. I had been wheat free for many years, but everything I read about gluten free sourdough, which used a brown rice starter, said it could be difficult to maintain and that it may require re-starting a starter now and then. I am all for easy, so No, thank you! And so I was too intimidated to try. When I HAD to go gluten free, I missed my sourdough! Gluten free grains can be more gritty, and I knew my baked goods would not be as nutritious or digestible without the benefits of fermentation. Eventually I decided to just try it, and I’m so glad I did! No more guilt for whipping up quick breads, lol! This gluten free sourdough thing is good, and as it turns out, it’s easy too! My starter has been going strong for about two years and I have never had an issue. After sharing a picture of some fresh bread on Facebook, I received a lot of requests for a recipe. I plan to teach a local class in September, and will give starter to participants, but for anyone who is in a hurry or not local, I decided to share the steps to going gluten free sourdough with you. The first thing you need is a starter! and coconut water kefir. If you do not have coconut water kefir, you can learn what that is and how to make it HERE. Since I didn’t invent this Boosted Brown Rice Sourdough Starter, I’m going to send you to the web site that taught me. You can find instructions over HERE at The Art of Gluten Free Sourdough Baking. One thing I will add to her directions is: Follow her directions exactly on the first day. However, on the second day–on the second feeding and following when you feed your newly fermenting starter, before you add the 1/3 to 1/2 cup of brown rice and water, first remove and discard 1/3 to 1/2 cup of starter. If you do not remove starter before feeding, you are going to be swimming in starter, and larger quantities of starter require being fed larger amounts. So simplify and remove some starter before feeding. You will know if your starter is healthy if it develops lots of airy bubbles throughout the jar. You will be able to see these developing as it ages… less after being fed and more before the next feeding. And here is a top view. The top looks a little dry. It has been sitting, covered on my counter all day. I’m ready to use some in a recipe for breakfast and then I will feed it. If creating your own gluten free sourdough starter is not something you feel like tackling right now, but you want to get started baking, you can buy a starter from Cultures for Health. It will come with instructions that are easy to follow. Starters are fermented, so definitely expect a sour smell. It is unpleasant to some people, but I promise your finished baked goods will smell heavenly and taste yummy… rarely ever a sour flavor when you actually eat it! If you have questions, please let me know in the comments below… someone else is bound to be wondering the same thing! Good luck, have fun, and when you have a thriving starter you can come back here to try out some recipes with me! You’re so welcome! I hope it helps you along your health journey! Love this. I am starting to experiment with gluten-free sourdough starters.